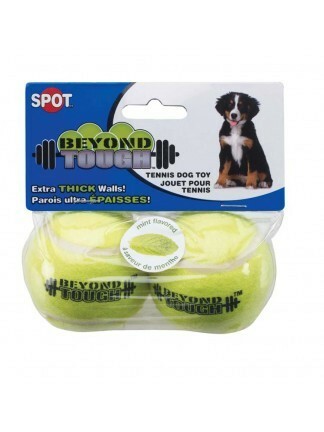 Smaller sized (2" inch) tennis balls with extraw durable rubber and extra thick walls for greater durability. Tennis balls are mint flavored. 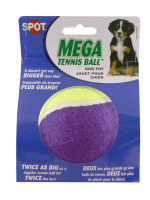 Regular sized 2 pack tennis balls with extraw durable rubber and extra thick walls for greater durability. 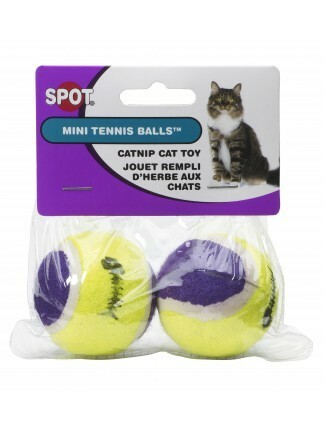 Tennis balls are mint flavored. 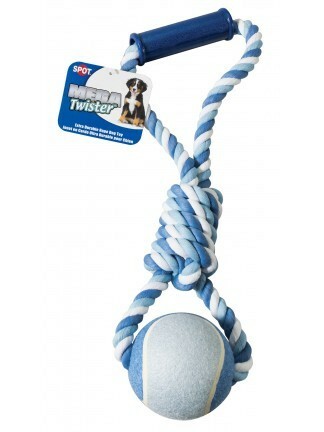 Super chunky rope for extra strength and durability combined with two tennis balls. Assorted colors. 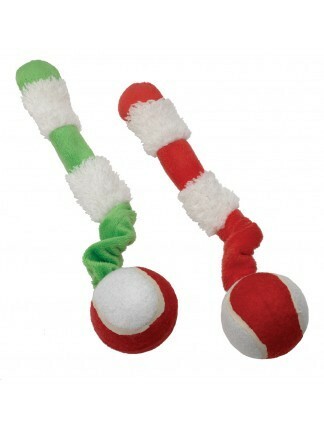 17 inch super chunky rope tug with a plastic handle and a jumbo tennis ball. Assorted colors. Colorful polypropylene rope which is very durable and colorfast. Floats in the water. 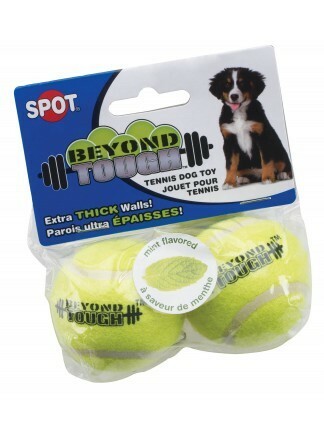 10" 2 tennis ball dumbbell. 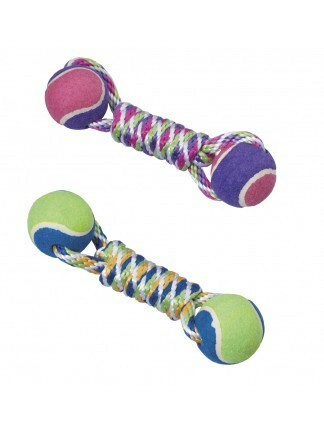 Colorful polypropylene rope which is very durable and colorfast. Floats in the water. 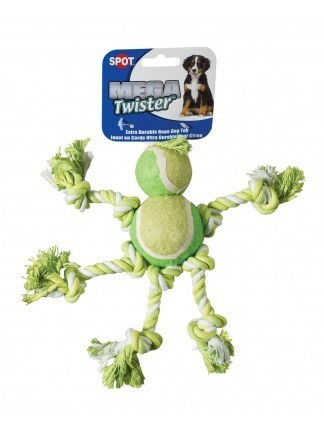 12" 2 tennis ball dumbbell. 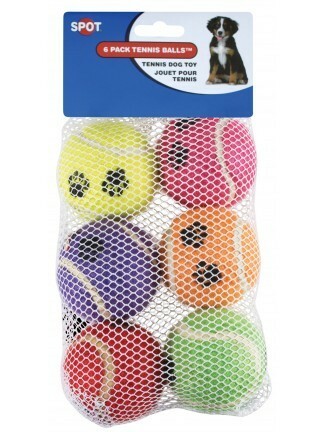 Six tennis balls with a paw print design in an assortment of colors. 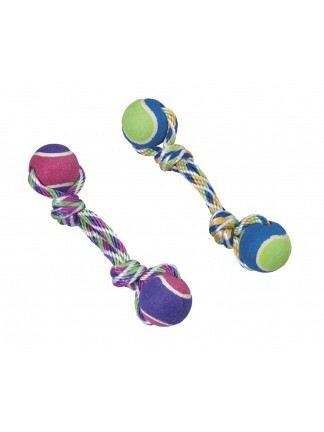 Two mini tennis balls with multi-colors and a fish bone design. Contains catnip and a bell. 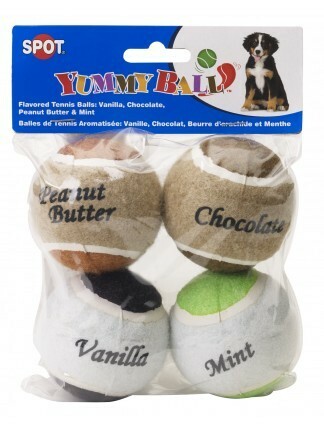 Four pack of tennis balls in four delicious flavors: mint, chocolate, vanilla and peanut butter.